I will pass the CFA Level 2 exam on June 5, 2010. I have to pass this year. I have no other option. I have no option. I have to pass this exam, CFA Level 2, on June 05, 2010. > I have to pass this year. I have no other option. I like this answer best. There is no other option. 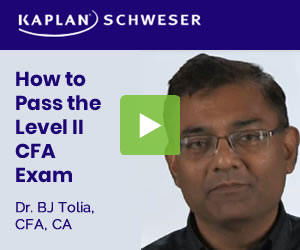 I will pass CFA level 2 on June 5, 2010! That’s roughly an average of 5 hours a day.. Are you employed? How the heck did you focus for 5 hours a day each day for the last 7 months if you work?? That is easily achievable if you work 9hrs a day. My day start as 5am every week day. There is an hotel with gym facility (where I am registered) close to my office and there exist a large area where I read 3hrs from 5.30am to 8.30am every week day. I rush to the bathroom afterwards to be ready to resume at work at 9am. I work for 9hrs until 6pm. Then I read or practice questions for another 3hrs until 9pm then I head for my house. Seriously it is tough preparing for this exam! ................................................................................................................We either make ourselves miserable or we make ourselves strong, the amount of work is the same. I struggled with it. Staying up late many nights, getting up early in the next mornings. I deserve to pass. I will pass CFA level 2 exam on June 6, 2010. I struggled with it. Staying up late many nights, getting up early in the next morning. I deserve to pass. I will pass CFA level 2 exam on June 6, 2010. I WILL PASS CFA Level 2 on 5th June 2010!! I DESERVE TO PASS THE CFA LEVEL II EXAM AND I WILL PASS THE EXAM ON JUNE 5TH, 2010! On June 5th 2010 I will take CFA Level 2 exam and my result in late August will indicate my PASSING performance on this exam. I will pass the CFA Level 2 exam on June 5, 2010! I will pass Level II this June. I thank God for granting me the strength to make it thru this test. And I am very grateful that he has already allowed me to pass CFA level 2 on June 5, 2010. I will pass level 2 on June 5, 2010 exam!! !